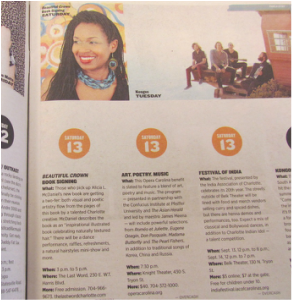 We are excited about the Beautiful Crown book launch being featured in the "Top 10 Things to Do" in Creative Loafing. "Initially Yours" is an original painting by Alicia McDaniel that is featured as the cover art for the classical music CD "Legacy: Violion Music of African-American Composers" which was produced by Columbia College Chicago. Watch the video to hear a performance from the CD.